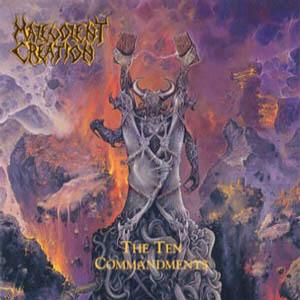 One would think that after more than ten years of cranking out the most blistering of death metal, Malevolent Creation would be willing to rest on their laurels, having nothing left to prove. 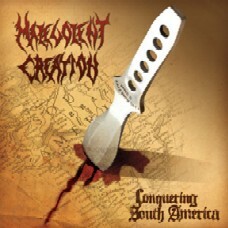 But for the band, every show and every new album is another chance to show the world the true definition of malevolence. 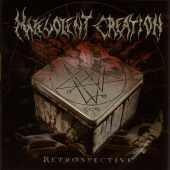 With unmatched speed, skill, songwriting and sheer force, Malevolent Creation is the Mike Tyson of death metal, coming up swinging after every knockdown and biting on the ears of anyone too deaf to listen on their own. They've endured censorship, massive lineup changes, infighting, and attacks by religious groups, mass media, government and right wing thugs. 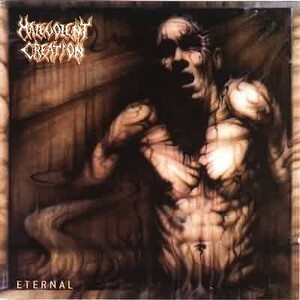 Through it all, Malevolent Creation has stood tall and strong and has never compromised one note nor surrendered one inch of ground. If anything, they've become more and more aggressive and caustic with each new album. The release "The Fine Art of Murder" proves the point. The best linup since their inception, the album devastates from start to finish, and is undeniably their best release to date. The return of the best members in the band's history bring a fire to the album that can't be extinguished by all the holy water in the world. Gone are John Paul Soars, Jason Blachowicz, their first florida drummer JoeWitch Schnessel who currently plays with Hellwitch ,and Derek Roddy, who played on the previous album, "In Cold Blood". Filling their boots are Rob Barrett, Dave Culross, Brett Hoffmann and Gordon SImms. Even the captain of the ship, guitarist Phil Fasciana maintains his uninterrupted position behind the wheel. Looking back from their perch atop the pile of corpses of those who have tried and failed, the road that lead them to where they are today seems a long and winding one. 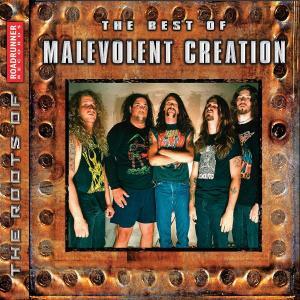 The origin of Malevolent Creation can be traced back to their formation 1987 in Buffalo, NY. There they made and gave away 100 copies of their first legendary demo tape, taking their first sure-footed step into the death metal underground. Their 1988 move to Florida set the stage for the recording of their second demo which pressed 1000 copies, establishing them as legitimate contenders in the field. 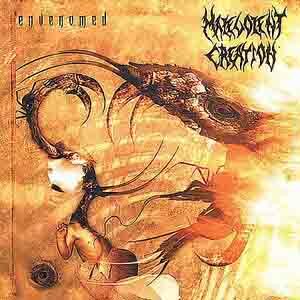 On this second demo, Malevolent Creation used a new drummer and also added John Rubin on guitar. The next year saw another drummer change with Mark Simpson taking position at the skins. 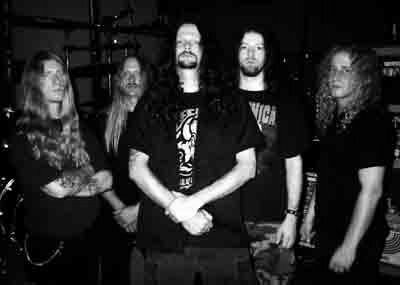 With their strongest lineup at that point, a third demo was recorded leading to a deal with Roadrunner and the release of their first full length album, 1991's "The Ten Commandments". In 1992, Rubin and Simpson were replaced by longtime pals Rob Barrett on guitar and Alex Marquez on drums for their second album, 1992's "Retribution". 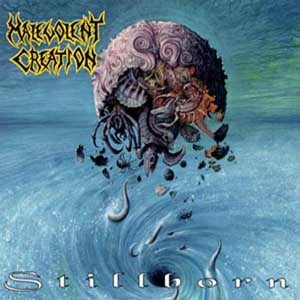 On 1994's "Stillborn" release Rubin rejoined the band and drummer "Crazy" Larry Hawke was hired, replacing Marquez and Barrett. 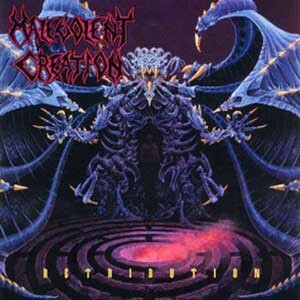 After the 1994 tour to support "Stillborn", Hoffmann left the band and bassist Jason Blachowicz assumed the vocal duties while Dave Curloss was hired for drum duty, further illustrating the bands revolving door policy. Fasciana makes no excuses for the continual membership changes, stating "If your too slow, you've got to go." 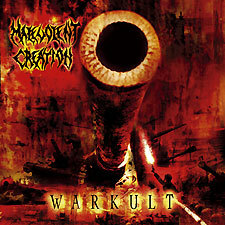 Personal and personnel problems have never stood in the way of the thundering war machine known as Malevolent Creation, and those who were injured in battle and left behind must be content with the knowledge that they were part of this behemoth for even a short time. 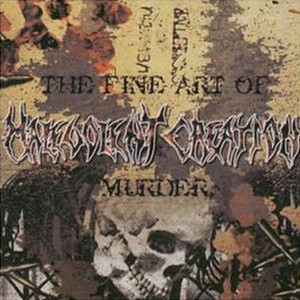 "The Fine Art of Murder" marks the triumphant return of Malevolent Creation in true feral prowess. The album is a scarring bestial ambush of utter terror and brawn, as their musical knife is whetted once again on the stone of all things weak and trendy. 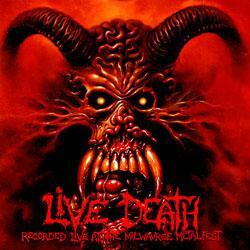 The 13 songs represent nearly one hour of bulldozer riffing, supersonic drumming and inhuman vocals. The murdering continues and Malevolent Creation returns to grab you by the face and drag you one step further into damnation.